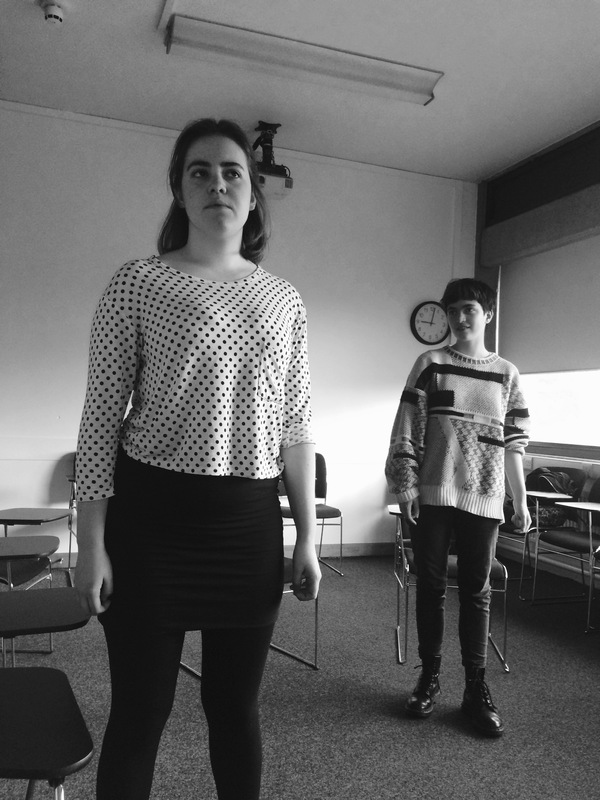 This year SOAS Drama are performing our award-winning play Knowledge is Power (written, produced and performed by SOAS students) at the Edinburgh Fringe Festival. This original piece of new writing won 3 awards at the London Student Drama Festival; Best New Writing and Two Outstanding Performance awards. This acclaim made us re-evaluate the impact the show could have. We hope to be able to take this piece further - we feel that, especially in the current climate, its message of authenticity played through the lens of an all-female cast, crew and creative team will resonate in the male-dominated arena that is contemporary London theatre. We are incredibly proud of our achievements and beyond excited to showcase our efforts at Fringe, but we need your help to raise the money we need to get us there! Knowledge is Power was born out of broken friendships, millennial anxieties and a mad dash to create a show in a week. We cast the show with only three scenes written, including one of the show's central monologues. It was during workshops that the show really began to take shape. The rehearsal process was easy, thanks to our hard-working actors who originated the roles in every sense of the word. Due to the nature of the show we were open to any and all suggestions. Nothing was off limits - except sincerity. Having a wealth of experience with student theatre, we were aware of the challenges and limitations facing small, low-budget drama groups. We decided to embrace simplicity and minimalism. This enabled us to showcase our talent and writing without the distraction of expensive production embellishments. Jordana Belaiche - 3rd year BA Politics student, current President of SOAS Drama Society, Director and Co-Writer of Knowledge is Power. I have 14 years experience in both Professional and Fringe/Student theatre. Abigail Moselle - 2nd Year BA English student. I am Co-writer, Assistant Director and Producer for Knowledge is Power . Currently Treasurer of SOAS Drama and President for 2017/18. Melonie Kress - British-Brazilian. 22 years old. BA English student. Currently Marketing for SOAS Drama Committee. Part of the Cast of Knowledge is Power. Winner of Outstanding Performance Award at the London Student Drama Festival. Miranda Teed - 21, BA Global Liberal Arts student and, most excitingly, the second member of the Cast of SOAS Drama's Knowledge is Power . Won Outstanding Performance Award at the London Student Drama Festival. Anna Jordan - 22 years old, BA: History and Development. Stage Manager for Knowledge is Power and an occasional actress. Freya Morris - Lighting and sound technician on Knowledge is Power, Second Year BA International Relations and History at SOAS and Vice-President of SOAS Drama committee for 2017/18. Knowledge is Power was originally written as an entry for the London Student Drama Festival 2017. After winning 3 out of the 4 awards (Best New Writing and both Outstanding Performance awards) at the LSDF Finals in March and with encouragement from the judges, the creative team decided to expand the piece. After tirelessly researching and applying to venues for Edinburgh Fringe Festival, we have been given a fantastic performance space at Paradise in the Vault! Taking part in the Fringe Festival will be an incredibly challenging and rewarding experience, and not just for us, for our entire society. SOAS Drama has some 300 members and we generally aim to produce 3-4 shows per year. Our Society is dedicated to providing a creative space and outlet within our university and to telling stories which reflect the diverse, layered and political community we inhabit. Even though we receive less funding than other London Drama societies and that there are no equipped performance spaces within SOAS, our members are talented, creative and passionate individuals who are dedicated to contributing to artistic conversations through our lively community of theatre-lovers. We hope that by taking a play to Fringe we can help and inspire other SOASians to create and showcase their own works in SOAS, London, Edinburgh, The World - anywhere and everywhere. By giving money to us you won't just be helping one group this year, but starting a new and invigorating phase for SOAS theatre makers and thespians alike. Funds will primarily be used to cover the cost of the venue, advertising and transporting props. We are also all currently working jobs to cover the cost of our accommodation and transport! If you want to stay updated on our progress then be sure to follow us on twitter (@melonsmelonsmel), Instagram (also @melonsmelonsmel) and like our Facebook page (Knowledge is Power). Everyone who donates will get a shout out on an official Knowledge is Power social media page! If you would like to donate but wouldn't like to receive a reward, click the pledge £1 or more button. If you donate £5 or more, you will receive a ticket to see the performance! These can be redeemed at our London previews or in Edinburgh. If you donate £10 or more, you will receive shiny copy of our poster which is signed by every member of our cast! You will also receive a ticket for the show. The first twenty people to donate £25 or more will be invited to take part in a workshop led by our director, Jordana Belaiche, with all the cast in attendance! You will also receive a ticket for the show and a signed poster. The first five people to donate £75 or more will be taken out for a special meal by the team behind Knowledge is Power! You will also be invited to the workshop, receive a signed poster and a ticket to either our London previews or our Edinburgh shows! We know we said you didn't need to give us money but it would be great if you did - anything and everything will make a difference. Even if its just £5 its lovely for us to know that people care and support this project! For this pledge, you will receive one of our lovely shiny posters with original artwork and the new SOAS drama logo - we can even ask our lovely cast to sign it! The first five people to donate £75 or more will be taken out for a special meal by the team behind Knowledge is Power! You will also be invited to the workshop, receive a signed poster and a ticket to either our London previews or our Edinburgh shows!.